Access IS launched the desktop OCR640, its latest version of a “full-page” passport reader intended for scanning both e-passports and ID cards. The images of a passport photo page are captured in IR, UV and visible light to help improve authentication. The OCR640 also reads all the stored data from a chip within an e-passport which typically includes a digital photograph of the passport holder and biometrics such as fingerprints and iris data. 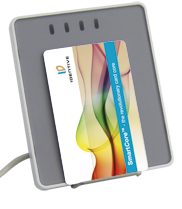 The chip reader can also be used to read contactless smart card chips. 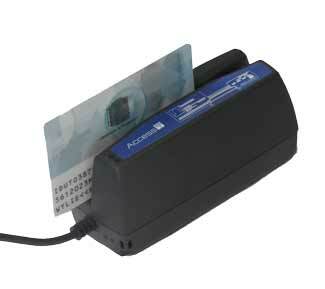 Additionally, Access unveiled the compact OCR310, a swipe reader which processes the data in the machine readable zone (MRZ) towards the bottom of a passport or ID card. With one of the smallest MRZ OCR data reading engines, the OCR310 is designed to be integrated into manufacturers’ portable handheld devices connected to a data terminal or a standard desktop PC. The company will be unveiling the new readers on Stand 4K088 at Cartes & Identifcation 2012, November 6 – 8, 2012 at the Paris Nord Villepinte Exhibition Centre in Paris, France.